EDUCATING, MAINTAINING & CREATING TRAILS THROUGHOUT GUNNISON COUNTY. 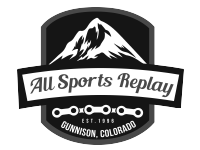 Please consider supporting our efforts to maintain, educate and build by making an annual contribution to Gunnison Trails. Dust off those gloves and earn some karma points. Get out and help us build and maintain these trails. Hot off the press! Help Support the Trails. Gunnison Trails relies on people like you who volunteer. Without your help, we couldn’t perform the way we do. Please consider Volunteering at one of our Events and or on Trailwork Tuesdays. Be the first to know when trails are open, events are rocking and other musings from your local trails organization!